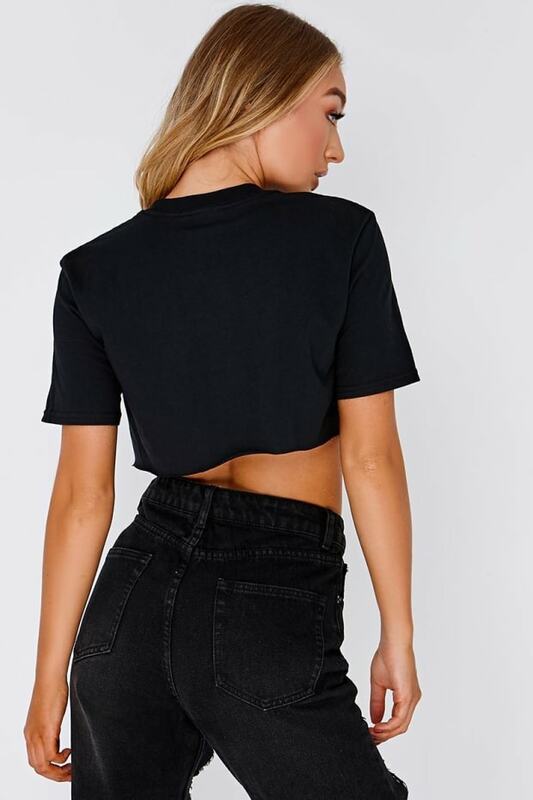 This black slogan crop top is guaranteed to score you double style points this season. 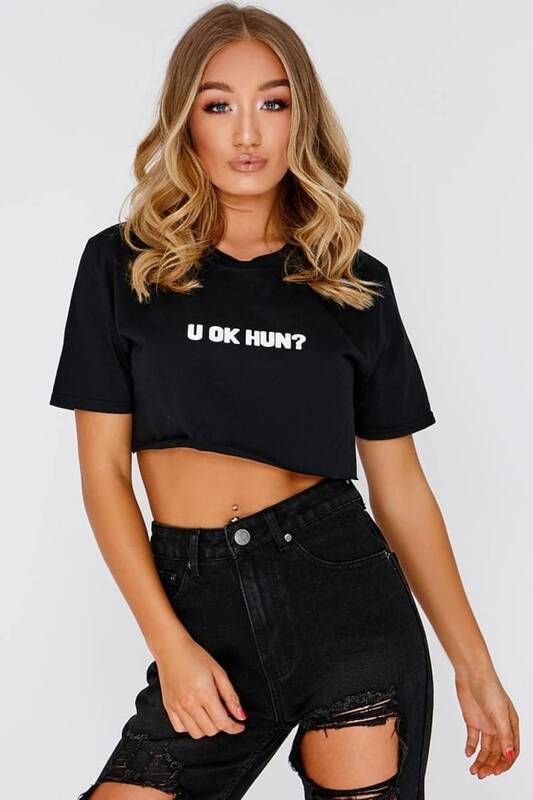 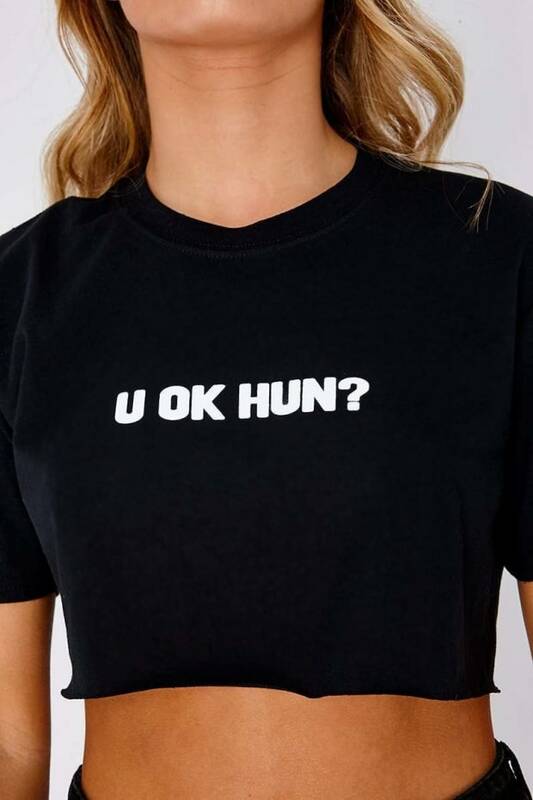 In a sassy cropped style featuring 'U OK HUN' slogan, we are totes crushing over this one! 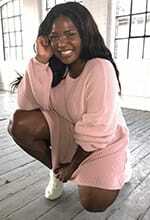 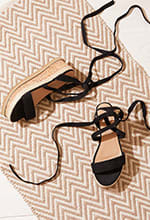 Wear with jeans and heels for the ultimate finishing look!